Believe it or not, Praying Mantis Prey on Birds – Gilligallou Bird Inc. While we don’t traditionally enjoy talking about things that actually harm our birds, this particular subject was one we just couldn’t ignore. 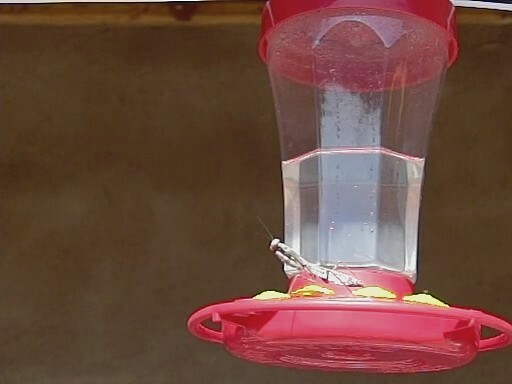 From a scientific or biological viewpoint, the fact that researchers have found that praying mantid actually feed on small birds is just downright fascinating. While some data suggests this has been happening since well before the turn of the century, the majority of data compiled on the subject was collected between 2000 and 2015. Researchers have been diving into this issue all around the world, but upwards of 70 percent of all the data was derived from right here in North America. The praying mantis, by definition, is a carnivorous insect that typically sticks to other insects such as spiders and other small bugs. Using their powerful front arms, they effective trappers, and have also been known to feed on reptiles and amphibians such as snakes, lizards and even small mammals such as mice. Outside of regular nourishment, scientists have no smoking gun theory on why some mantids prey on birds but are aware of which species the mantidea seem to prefer. Given the size of the insect itself, many of its subjects are often small songbirds or its favourite, hummingbirds and are often much bigger in comparison to their attackers. The element of surprise is the mantids secret weapon as researchers noted they can often be found hiding beneath perches on feeders, awaiting their next meal. The insects are apparently wildly effective at what they do, as it was noted that as little as 2 percent of birds caught by mantids were able to escape. Once captured, it can get pretty graphic. Using one of their powerful arms to grasp the birds, they will utilize the other to…well, you get the picture. It was determined that the absolute favourite part of the bird the mantids enjoyed was the brain, a recent study read. Now for the question most of us are probably wondering, is the praying mantis a viable threat to bird populations here in North America? They are simply another predator and one in no way shape or form affects the overall population of hummingbirds or other small passerines, currently speaking. The real issues surrounding bird populations such as habitat loss and window strikes are still areas we as birders should focus on, at least for the time being.